I am Groot. 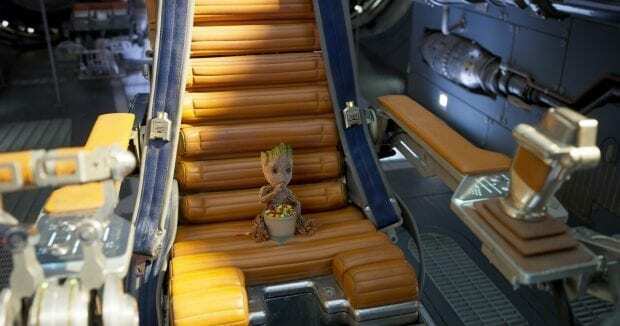 Well not really, but let's be honest, we are all excited about seeing Baby Groot steal the show. Which he does, in the best ways possible. 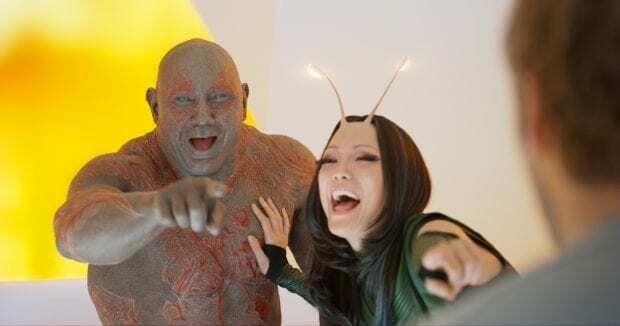 Honestly, you could make a movie solely based on Groot and Rocket are we would all see it because they are hilarious and listen to them talk to each other is even better. Guardians of the Galaxy Vol. 2 does not disappoint, solidifying the notion that Marvel Studios can't fail. They consistently make fantastic superhero movies. I'm a huge fan of the teams that Marvel has created, but Guardians of the Galaxy tops my list. It merges the action of the Marvel Universe, the team aspect, throws them all into outer space (have you seen my Star Wars obsession? ), and then makes your abs hurt from laughing so hard. It's the total package. I think I laughed twice as hard than Vol. 1. After holding the Infinity Stone in his hand and not dying (oops, spoiler alert if you haven't watched the first one), we are left asking the question, “How was Peter Quill able to do that and who is his father?” That's where our story takes us for Vol. 2. “I knew where I wanted the story to go before the first film was out in theaters,” explains writer/director James Gunn. He based this direction off the audience's responses to the first movie. Now that the Guardians are a family, their dynamic together shows. Ten times the jokes and pokes meant a gut-busting audience. There were a few times I was laughing hard enough to shed a tear. HOWEVER, the movie is rated PG-13 for a reason. I found this movie a little harder to digest for little ones. Language is one thing, but sexual connotation and heavy violence (more graphic that other Marvel films) caused me to pause on this one. Older kids over 10 is my suggestion, but I always suggest that parents watch movies first and make their own informed decisions. 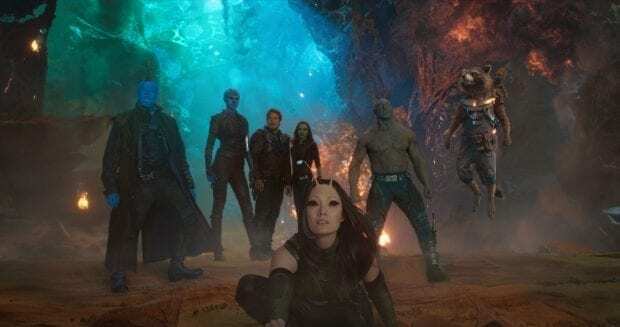 We are getting down to the final movies that lead to the highly anticipated Infinity Wars where The Avengers join forces with the Guardians of the Galaxy to well save the galaxy from Thanos! The entire franchise has been leading up to this film. They all tie together to end at Infinity Wars. I'm getting so excited about it. We get all that and more as well get a look into Star-Lord's father and the man that raised him, Yondu. Now, here is where things get tricky in the Marvel Universe. Spoilers ahead, mainly new character talks. Please read this lovely boilerplate as the jump! But if you stop reading here the last thing I want to say is that you have to stay for the end credits! There are lots of great scenes (one of which is important). Set to the all-new sonic backdrop of Awesome Mixtape #2, Marvel Studios’ “Guardians of the Galaxy Vol. 2” continues the team’s adventures as they traverse the outer reaches of the cosmos. The Guardians must fight to keep their newfound family together as they unravel the mystery of Peter Quill’s true parentage. Old foes become new allies, and fan-favorite characters from the classic comics will come to our heroes’ aid as the Marvel Cinematic Universe continues to expand. “Guardians of the Galaxy Vol. 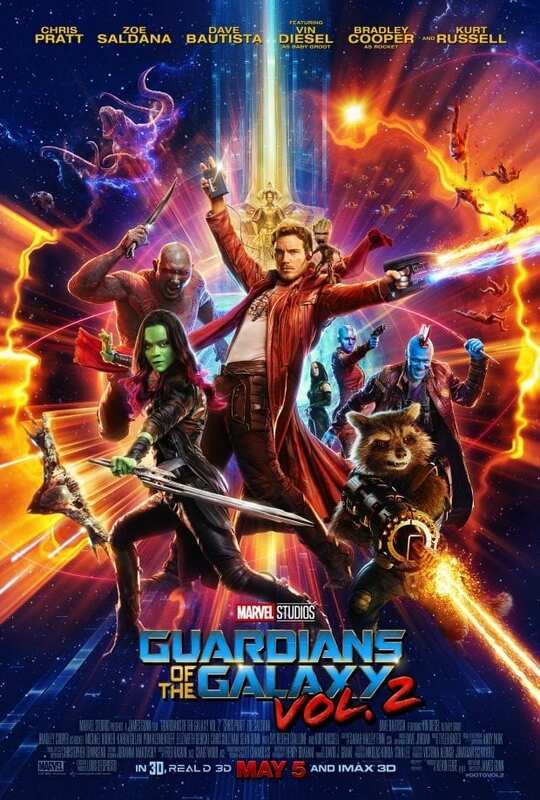 2” is written and directed by James Gunn and stars Chris Pratt, Zoe Saldana, Dave Bautista, featuring Vin Diesel as Baby Groot, Bradley Cooper as Rocket, Michael Rooker, Karen Gillan, Pom Klementieff, Elizabeth Debicki, Chris Sullivan, Sean Gunn, Tommy Flanagan, Laura Haddock, with Sylvester Stallone, and Kurt Russell. Kevin Feige is producing, and Louis D’Esposito, Victoria Alonso, Jonathan Schwartz, Nikolas Korda and Stan Lee are the executive producers. Marvel Studios’ “Guardians of the Galaxy Vol. 2” blasts into theaters on May 5, 2017. Much like other Marvel movies we are introduced to characters that may be related and may not be. Stories start to melt together; family ties are changed. Ego-A celestial being and intergalactic explorer. Mantis-A strange insect-like alien was raised alone on Ego’s planet. Mantis’ empathic abilities help ingratiate her with the Guardians, who may not be the best examples of refinement and socialization. 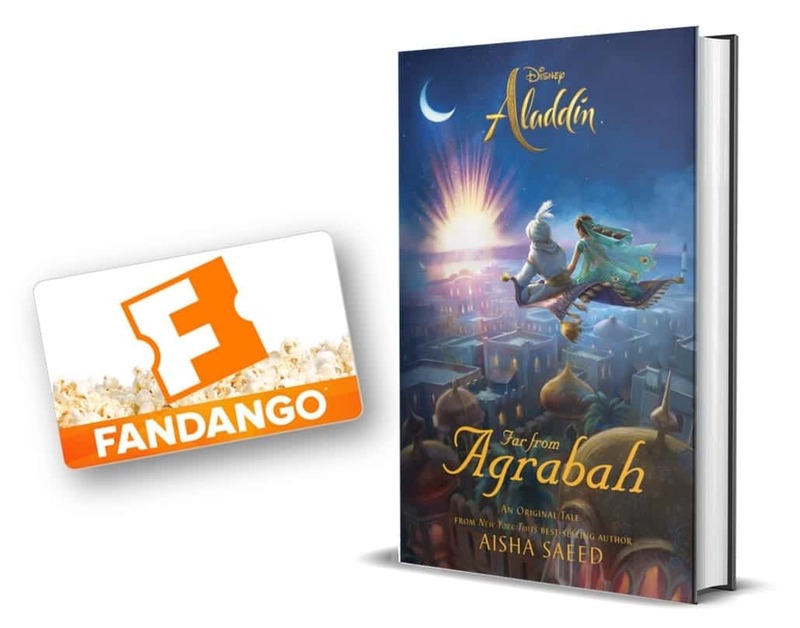 Ayesha-The high priestess of a genetically perfect and singularly arrogant alien race known as the Sovereign, Ayesha hires the expendable Guardians to protect her planet and citizens from an interdimensional menace—a decision that very quickly backfires. Adam Warlock – You'll need to stick around for the end credits for this one! I hope this is a look into the future of the Marvel Cinematic Universe. Because after the Infinity Wars…what comes next? You also have to see the end credits for CHASE! 🙂 We saw it again yesterday and loved it. TONS of jokes! My kids want to see this movie. Groot is our favorite.